Motorola is prepping to launch a new handset that will be the first Exynos-powered smartphone by the company. 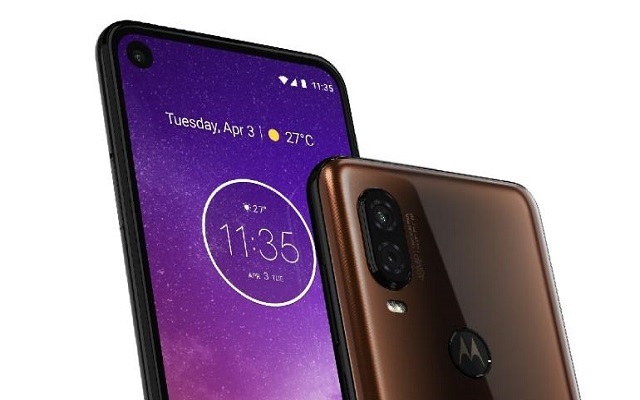 The upcoming handset is dubbed as Motorola One Vision. There had been a lot of leaks and rumors about this upcoming phone. Even though, its images and some specs also got leaked. Now, the phone got listed on Google’s ARCore. 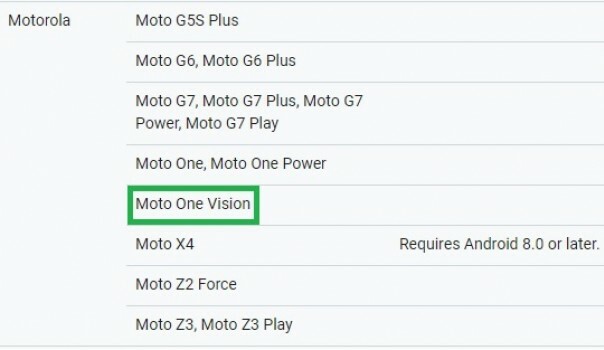 So, Motorola One Vision Launch Seems Imminent. According to the previously leaked specs, the One Vision will sport a 6.2-inch 21:9 Full-HD+ punch-hole display. It will be powered by Samsung’s Exynos 9610 SoC. So, it will become the first Exynos-powered smartphone by the company. In addition to that, the upcoming phone will run Android Pie straight out-of-the-box. Moreover, it will be an Android One smartphone. It will come paired with up to 4GB RAM and 128GB of onboard storage. The One Vision will feature a dual camera set up at the rear with the primary sensor of being a 48MP unit. It will have a 3,500 mAh battery to keep the lights on which will be charged through a USB-C port. The handset will launch as P40 in the Chinese Market. However, there had been no official words by the company about its price or launch event yet. The phone got spotted at Google’s ARCore so, it hints that its launch is quite near. However, we don’t know the launch date yet. We will surely share it with you guys when we will get to know more about the handset. Till then stay tuned for updates.